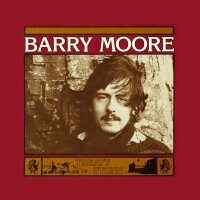 Barry Moore has built up a reputation as a singer/songwriter playing the various clubs in and around Dublin since 1976. More recently, he has toured the UK and Germany as a member of Inchiquin. His music is contemporary and for the most part self penned. One of his first songs Wave Up To The Shore was recorded by his brother Christy in 1976. Barry was born in Newbridge, Co. Kildare in 1955. With the exception of Lonesome Robin, learned from Guy Carawan and written by Bob Coltman, and Black Is The Colour, a traditional song learned by Hamish Imlach, the songs were written by Barry himself. Deep Is The Night was written in Berlin during the winter of 1974. Bury My Heart At Wounded Knee is based on the book of the same name by Dee Brown, which is a history of the American West. As in "Bury My Heart", man's right to freedom is the theme of It's Not Good Enough. The instrumental Little Martha And Me was inspired by the playing of Duane Allman and Dickie Betts. 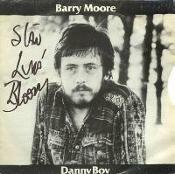 Irish folksinger Barry Moore began his recording career with this record, some ten years before he moved to New York and adopted the performing name Luka Bloom. His name, however, is not the only thing that has changed since Treaty Stone was released in 1978. The singer had not yet developed the acoustic-electric DAD/GAD tunings, and the downstroke-heavy, right-hand technique that were to become the hallmarks of the Luka Bloom sound. But if the guitar work on this record isn't as original or distinctive as later material, it is nonetheless more complex. There are several lengthy, fingerpicking solos in a style similar to instrumental fretsmiths like Leo Kottke, Preston Reed, and Phil Keaggy. In arrangement and song selection, the album bears more in common with mid-'70s John Denver than '90s Luka Bloom. Songs like "Lonesome Robin", "Jenny of the Sun", and "Deep Is the Night" display the sort of sunny, nature-loving, acoustic mellowness that characterizes Denver's best work. Outside of the Irish traditional ballad "Black is the Colour", which receives a much more lighthearted treatment than the solemn version on the 1994 Bloom album Turf, Treaty Stone is not really a Celtic folk album. In fact, the title track and "Bury My Heart at Wounded Knee" (which Moore later introduced to the Indigo Girls, who then released their own version as a single) reflect Moore's interest in the plight of the American Indian. Regardless of its origins, Treaty Stone is an excellent folk album, demonstrating that this Bloom is sweet by any name.